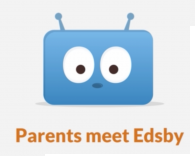 SGDSB presents: Edsby for Parents! Parents can now get access to Edsby in order to receive updates from teachers and check in on their students’ progress. Parents must contact the school to request an Edsby Access Email. Once the school has verified that you are the parent or guardian of a student, you will receive an email with a unique access link to sign up for your own Edsby Account. For assistance or Frequently Asked Questions, check out the Edsby HELP page or contact your school administration.